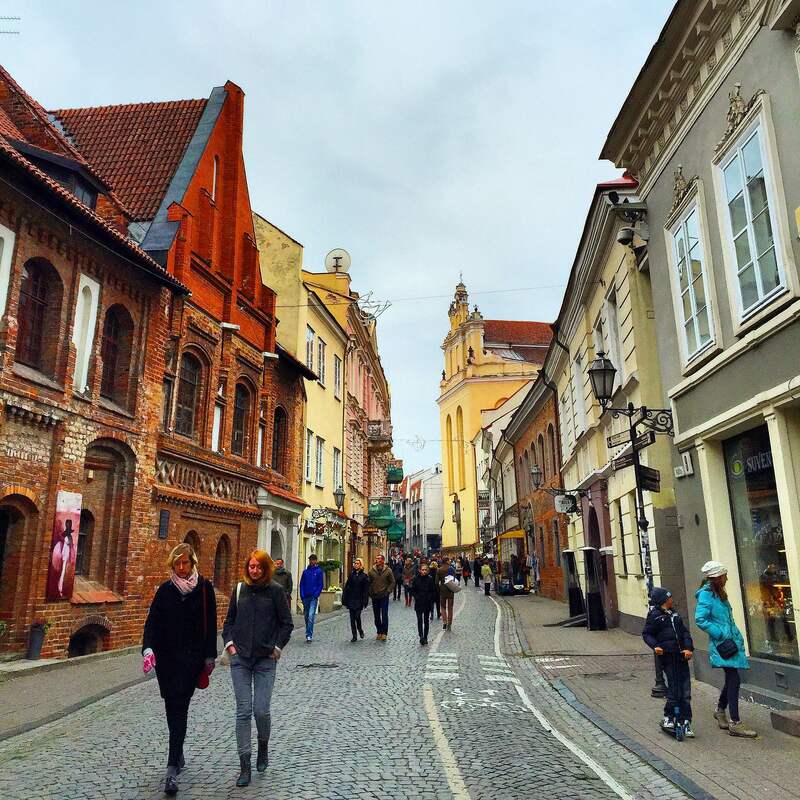 On the 17th of October 2015, I explored 24 hours in Vilnius the capital city of Lithuania, a city easy to get around on foot if you don’t mind walking endlessly for an hour or so then take a break somewhere before you start another endless walk. From the airport, I took a direct bus into the city centre which cost 1 euro and takes approximately 15 minutes. Then I was ready to explore and eat! 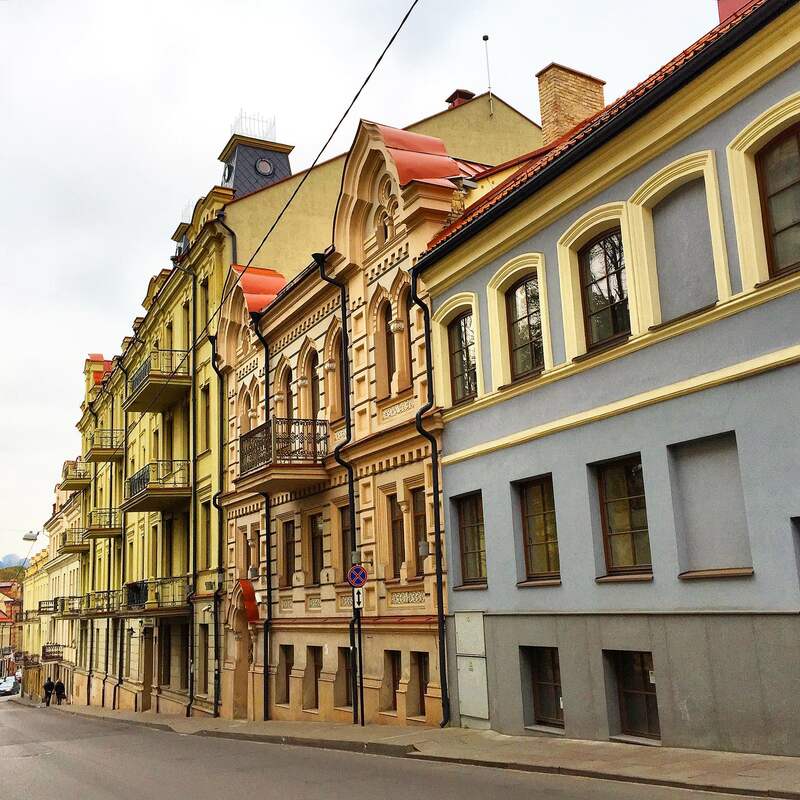 Here are some images I snapped in order; the first image is a street in the Old Town of Vilnius which is listed on the UNESCO World Heritage Site. Image two are the people to watch the people 😉 The next image are some vibrant baroque architecture buildings which can be seen throughout. 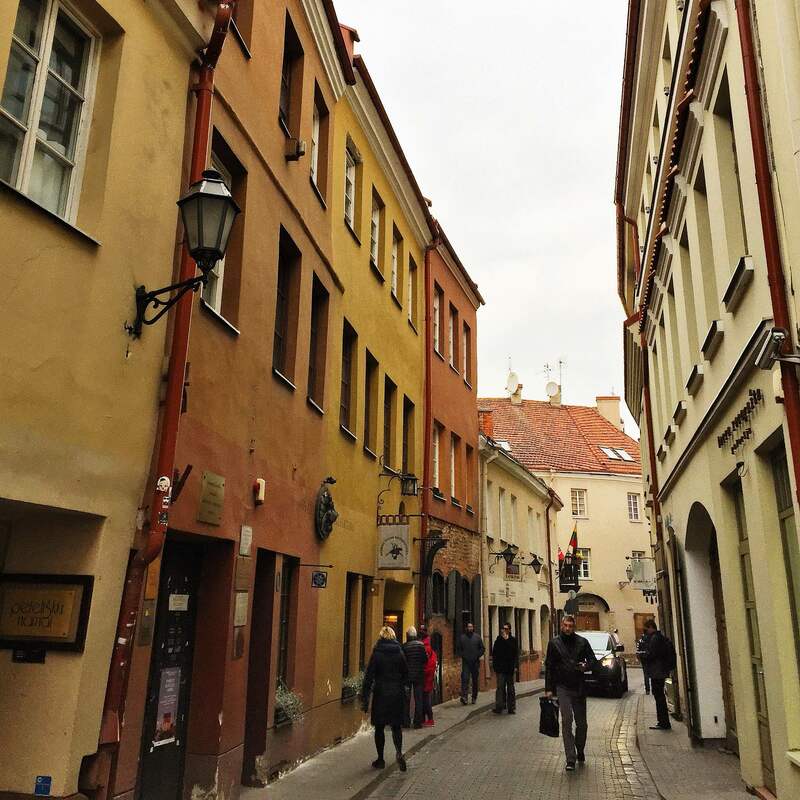 Always curious and getting lost in alleyways and those are the magical moments where you can spend many moments wandering through alleyways like image four. 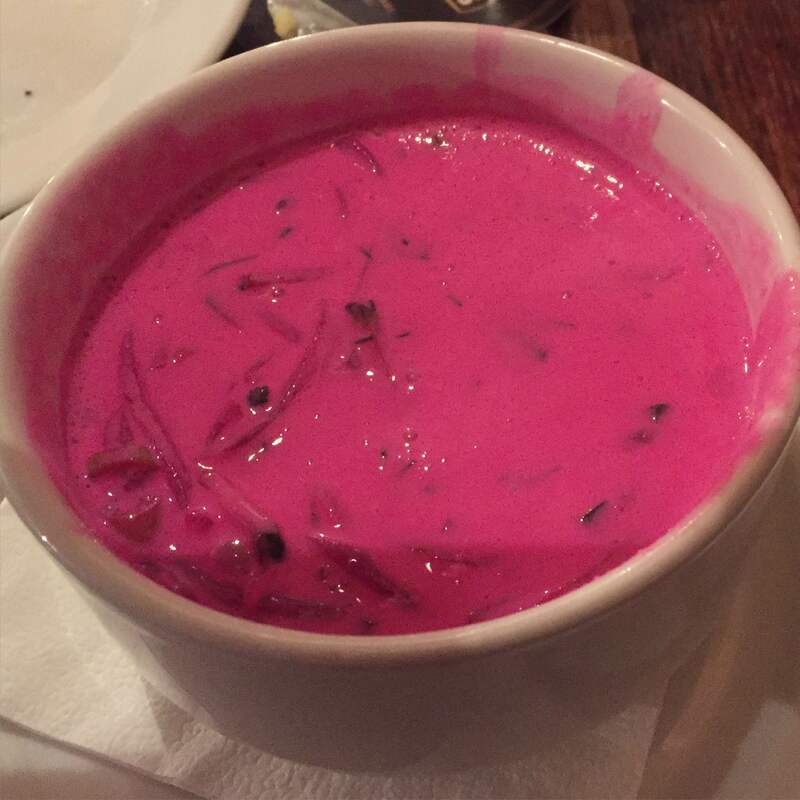 The soup is pink! Oh my, its like bright pink! Wow, its pink! Those were my thoughts when I first saw it! But I love being open to food as its all part of the cultural travel experience. The soup is a traditional cold Lithuanian dish called Sotieji Saltibarsciai and surprisingly tasty. 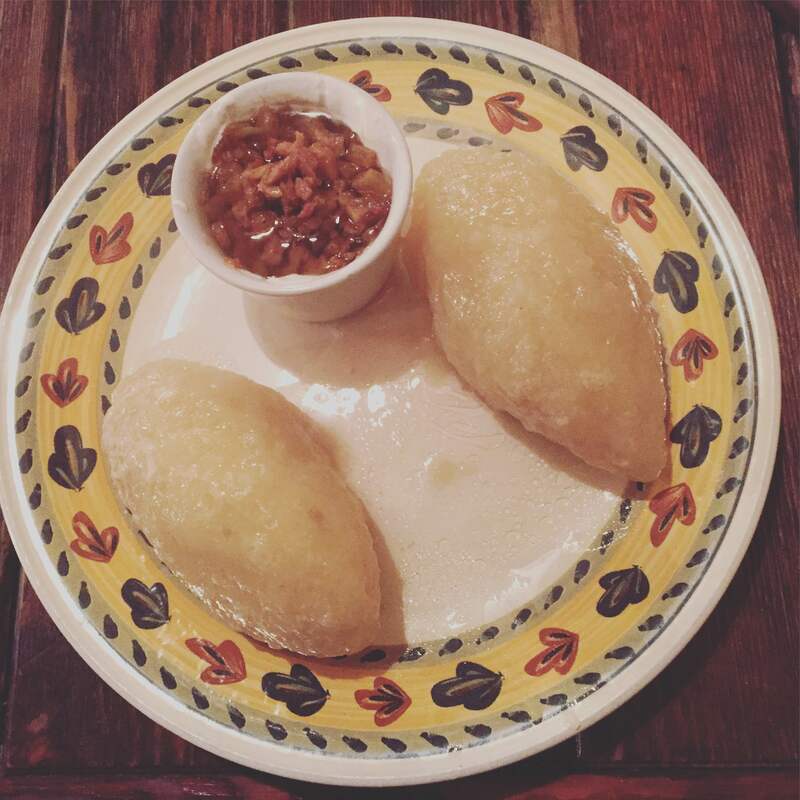 I tried this dish at a restaurant called Dvaras which cost 2.35 euro and the next dish is another traditional Lithuanian dish called Tradiciniai Didzkukulia which has meat inside and cost 3.95 euro. 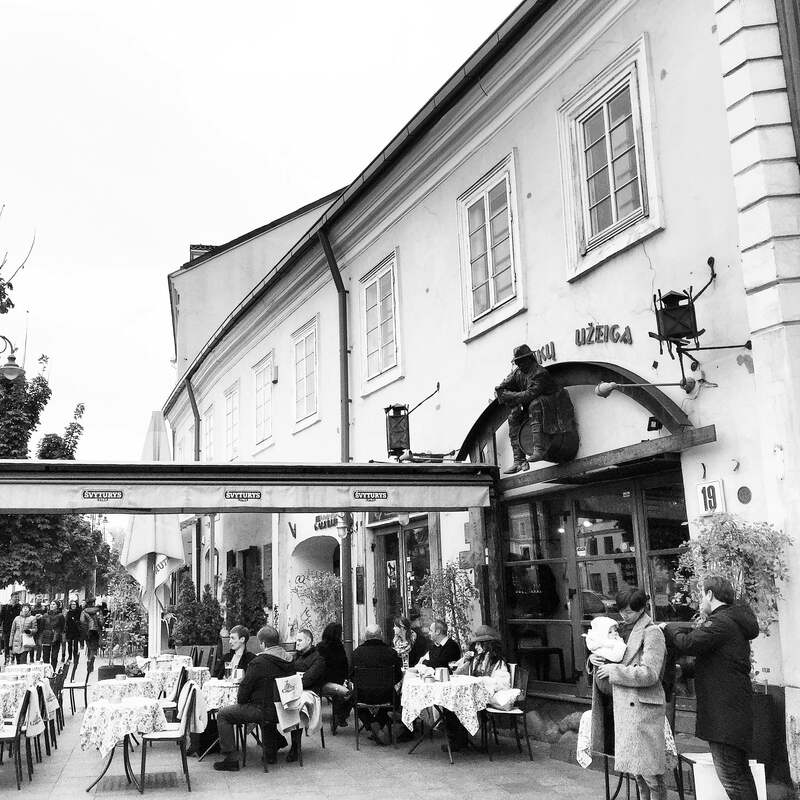 The price tag is affordable to try some delicious dishes when visiting.